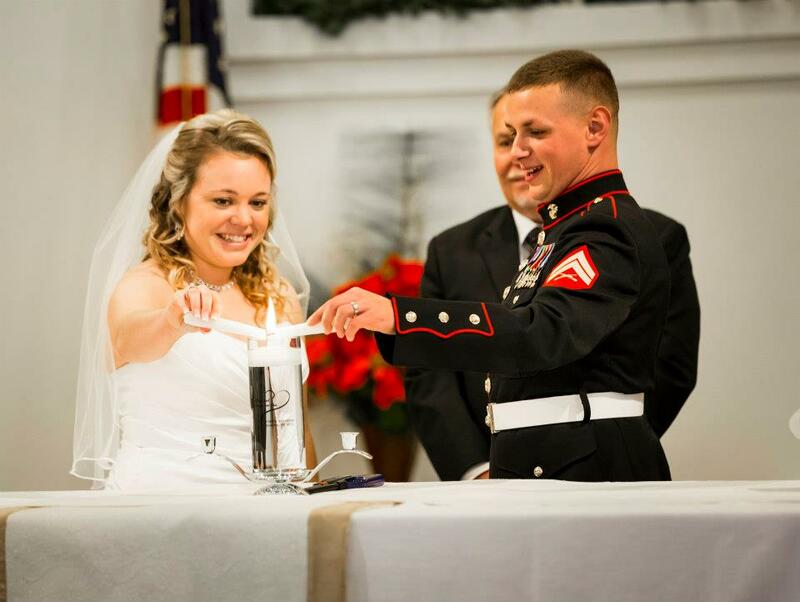 My Marine got married on December 29. 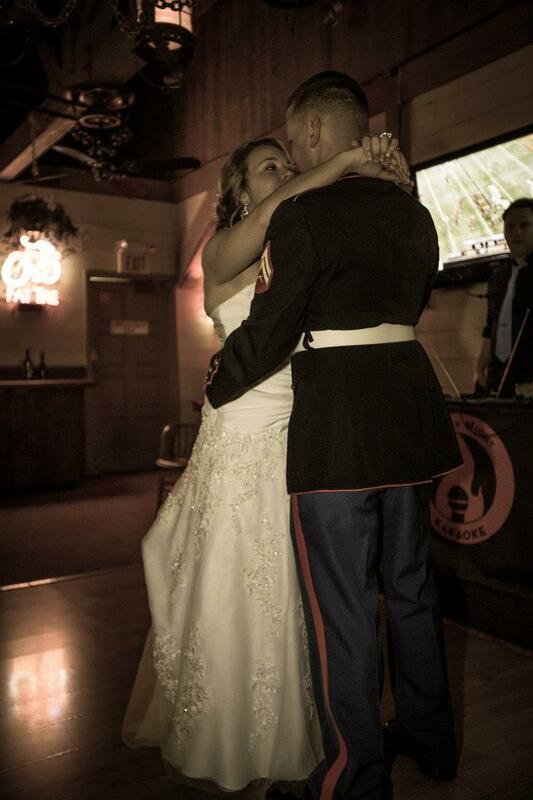 My Marine and his Lovely Bride! 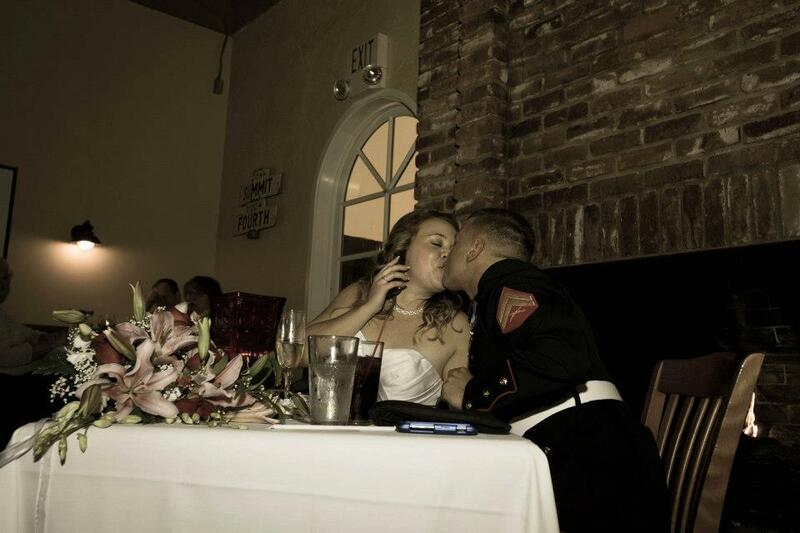 He had us called from Afghanistan and told us he would be proposing as soon as he came home from deployment. 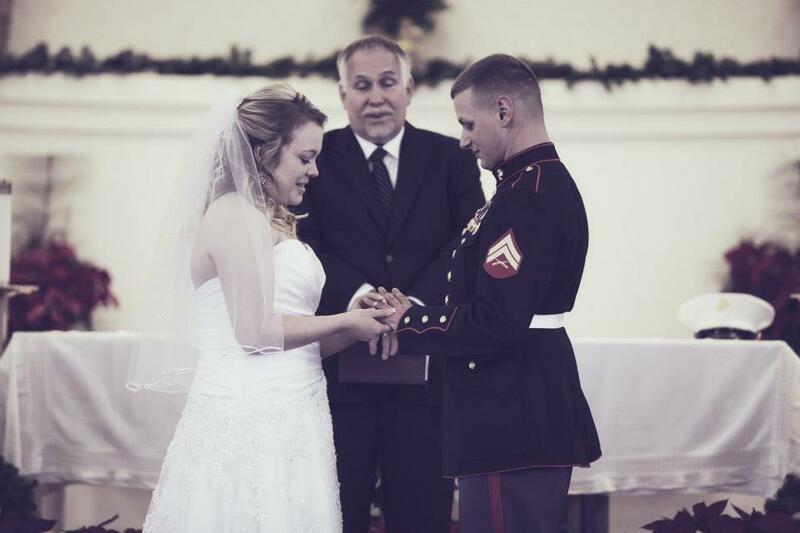 He came home at the end of October and they were married just two months later! He called the Little Man and asked him to be one of his groomsmen. Little Man was so excited. He’s been the ring bearer in lots of weddings, but to be asked to be one of his big brothers groomsman was something altogether different for him. 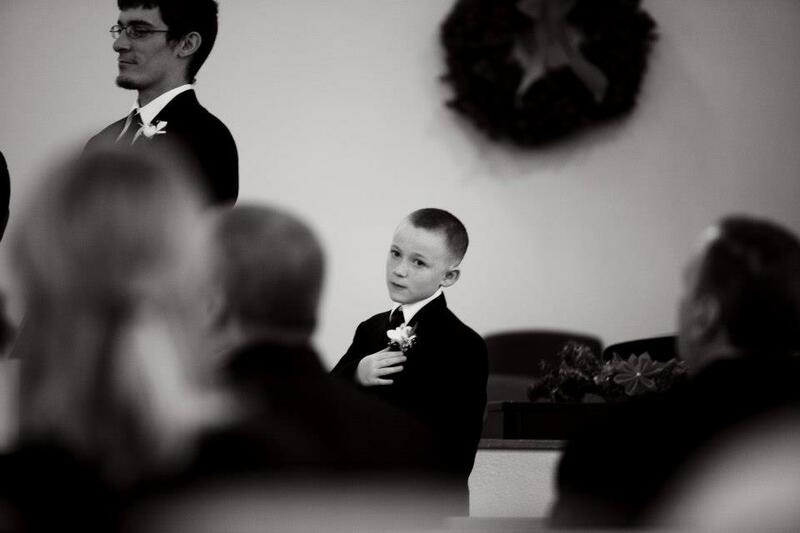 The Little Man as a Groomsman. 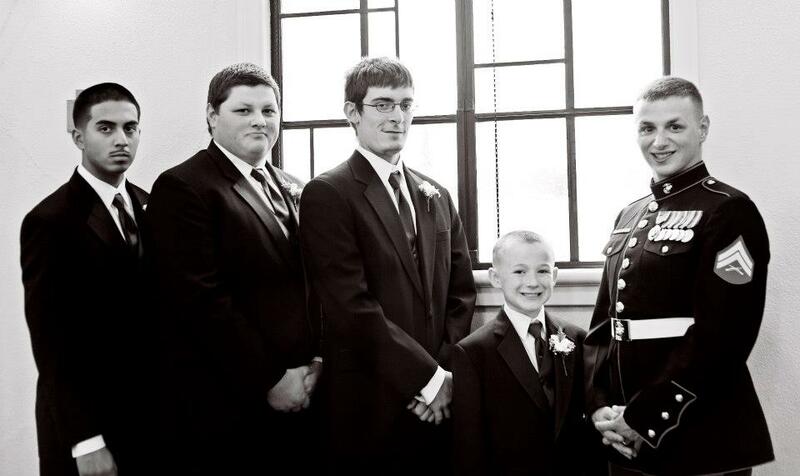 The four of us left home just 2 days after Christmas to fly out to California for the wedding. 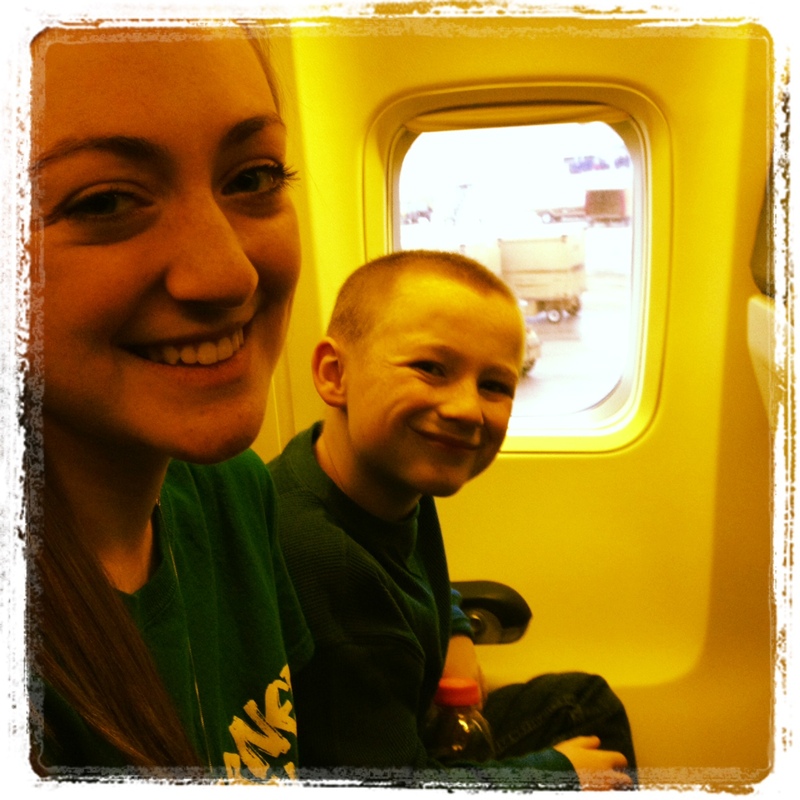 On the plane bound for Cali! We got in late that evening and pretty much just got to the hotel and went to bed. We got up the next morning and had breakfast and then met the Marine at his favorite barber shop in San Clemente, Señor Barber. 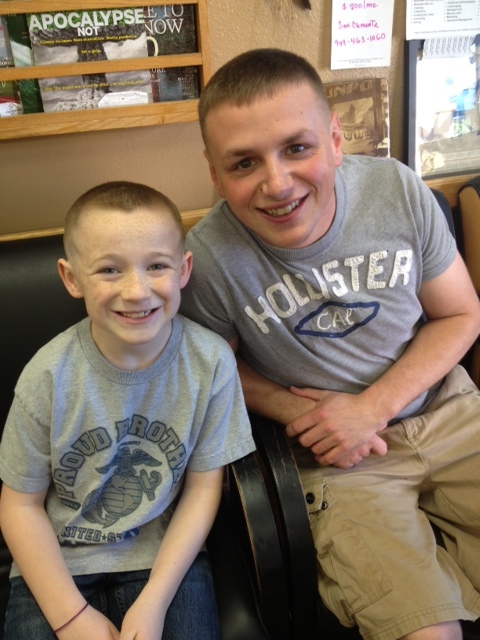 Both boys got “Marine” haircuts. 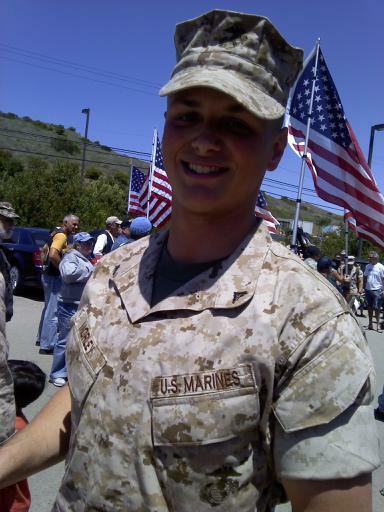 Then we went onto Camp Pendleton to get tickets for the San Diego Zoo. 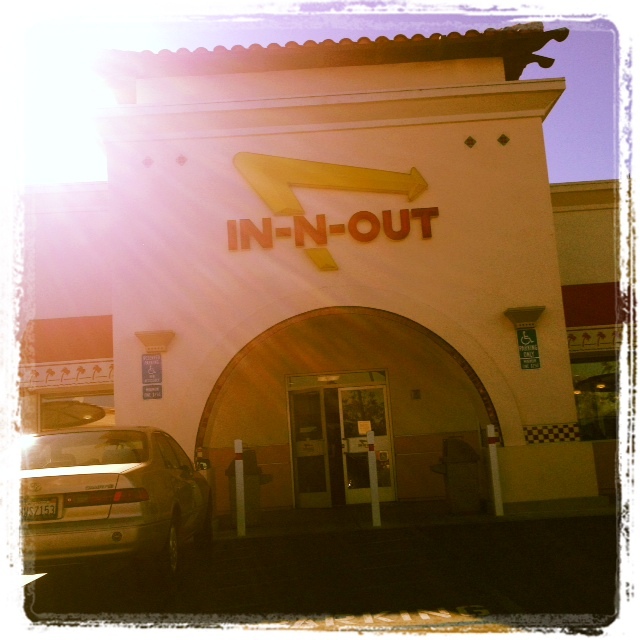 We then left the Marine and ran some errands, picked up the tuxedos, had lunch at In-N-Out and I made an appointment to have my hair done the morning of the wedding. 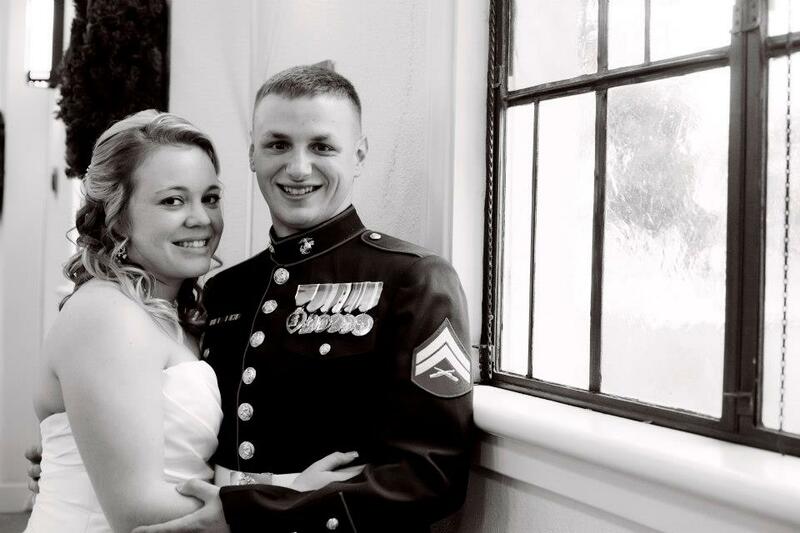 That evening, we met the Marine and his soon-to-be wife at Macaroni Grill for supper. The food was so yummy. The kids have been asking us to go to the one in Indy ever since! We had a really nice time visiting with them over supper. 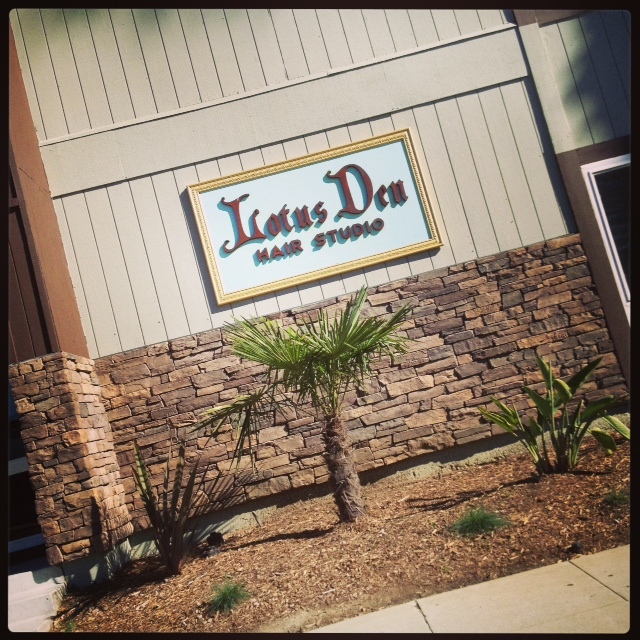 The next morning, we got up and the family took me to my hair appointment at Lotus Den Hair Studio in Oceanside. 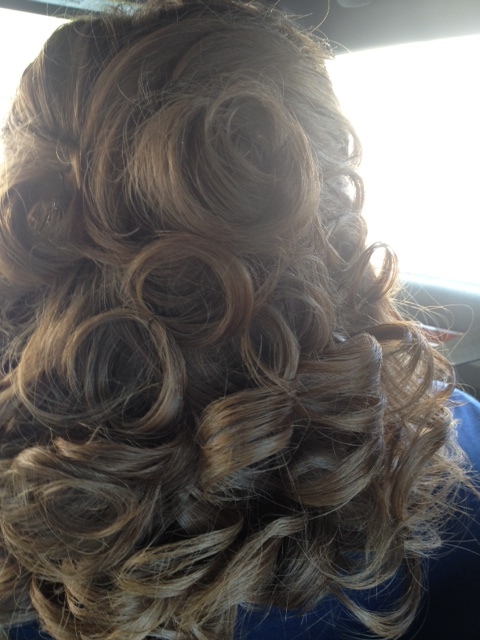 I had found them online a couple of days before we left and called them and they were able to do my hair. I did have to send a photo of myself to the girl who would be doing it so she could see the length and get some ideas for me. So, Saturday morning, the Lovely Daughter came with me and Ginger did an amazing job. I knew in my mind the look I wanted and kind of told Ginger, then she just made it work. When she showed me what she had done I was nearly in tears, it was exactly what I wanted. 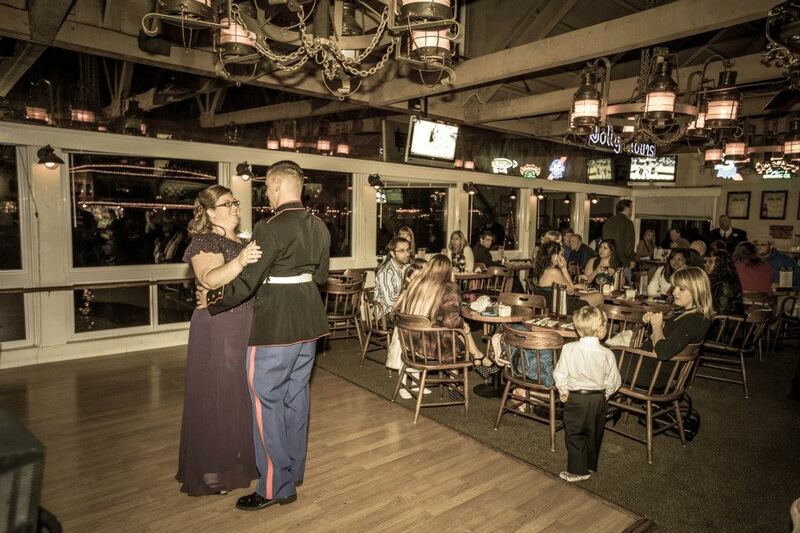 After that we went on base at Camp Pendleton to the Marine Memorial Chapel where the wedding would take place that afternoon. The rehearsal was scheduled for 10:30am and the wedding was at 1:30pm. The rehearsal got started late, but everything went smoothly. After the rehearsal, we all got ready for the wedding. 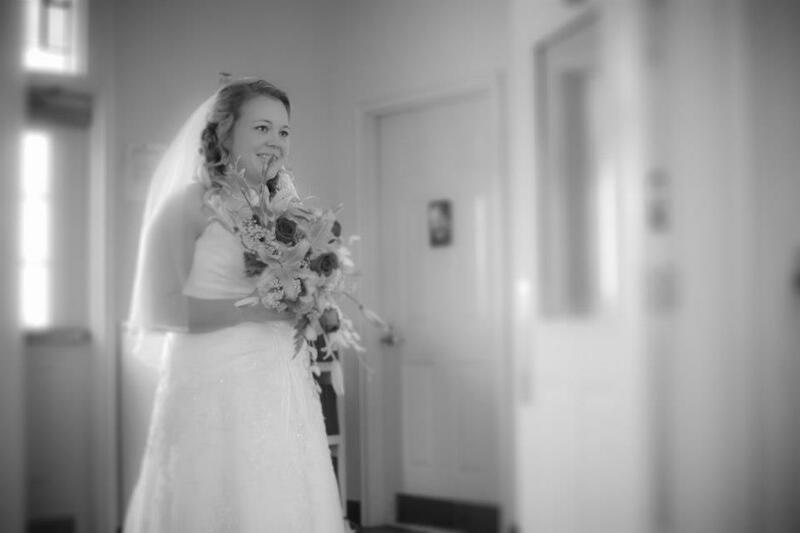 I even had the honor of helping the soon-to-be daughter-in-law put on her wedding dress and shoes. She’s a great girl and she loves my son. I’m excited to be able to be her mother-in-law and get to know her more! 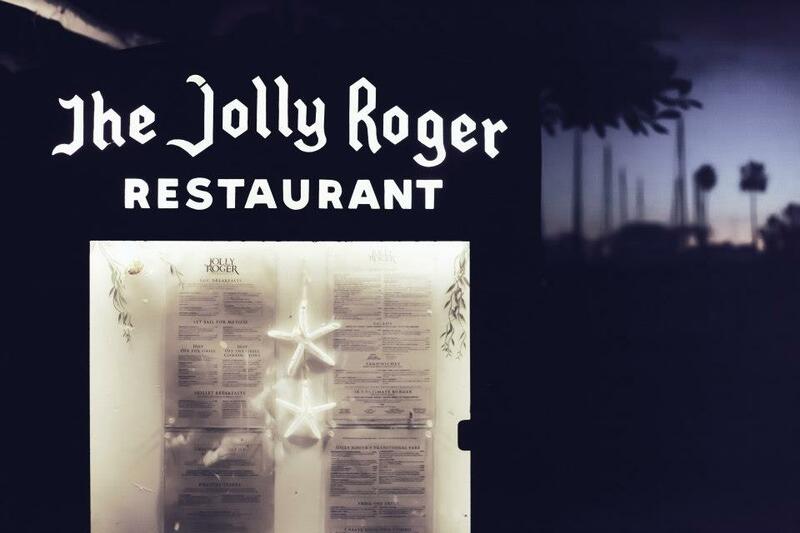 After the wedding, we had some pictures taken and then we headed to Jolly Roger’s for the reception. 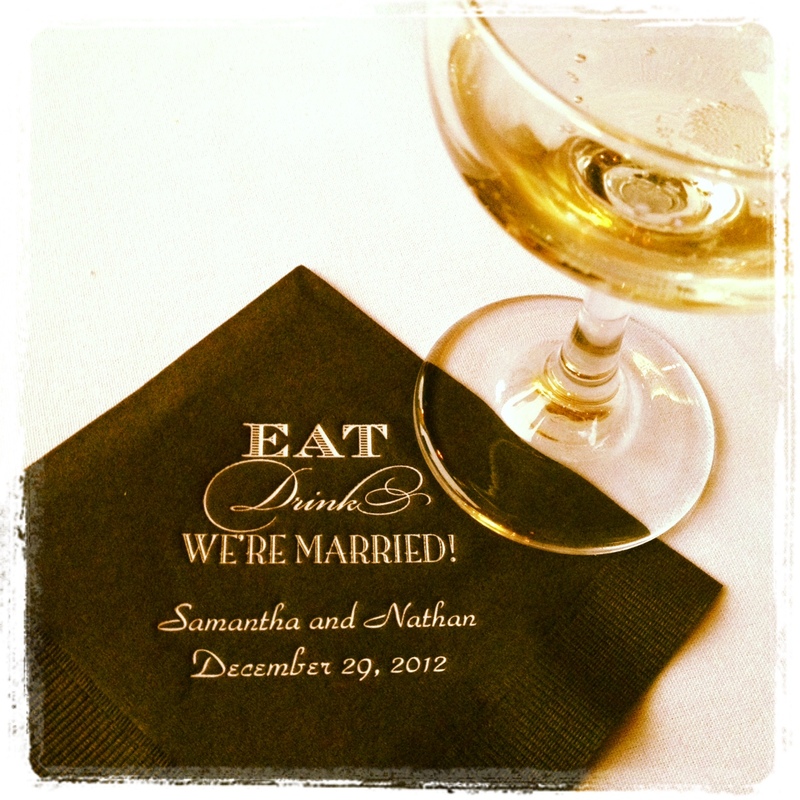 It was a nice little reception, the food was very good. There were simple but pretty decorations. 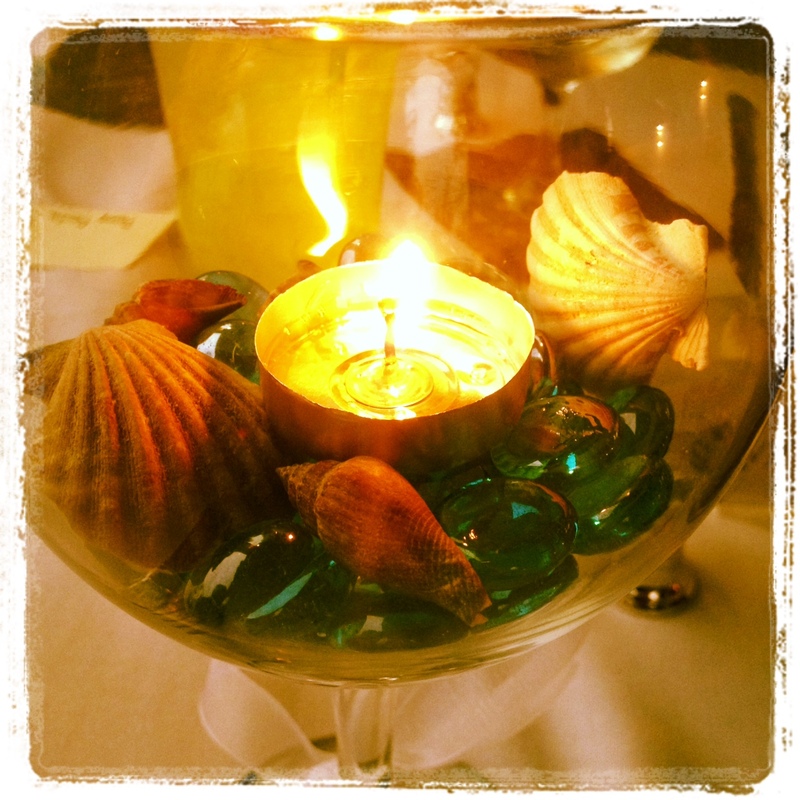 There were little bells used as table place cards and the Little Man would put all four of our bells in his hands and ring them so the “happy couple” could kiss. Every time he did that, he would blush! It was definitely a cute memory! ring those bells Little Man! After the meal, toasts, and cake, we all went upstairs to the bar and did the traditional dances and things. We didn’t stay long since it was in a bar and the Little Man and the Lovely Daughter were very uncomfortable being in a bar. In fact, the Little Man was so uncomfortable that he cried. He just kept saying that we shouldn’t be here, it wasn’t a good place to be. 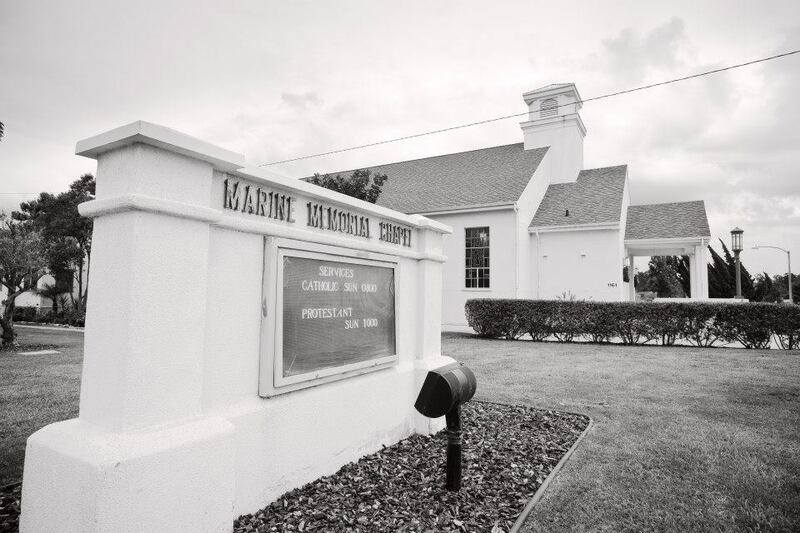 Which, for us, it wasn’t necessarily the best place and I was thankful that he was sensitive to that and brave enough to say something to us about it. 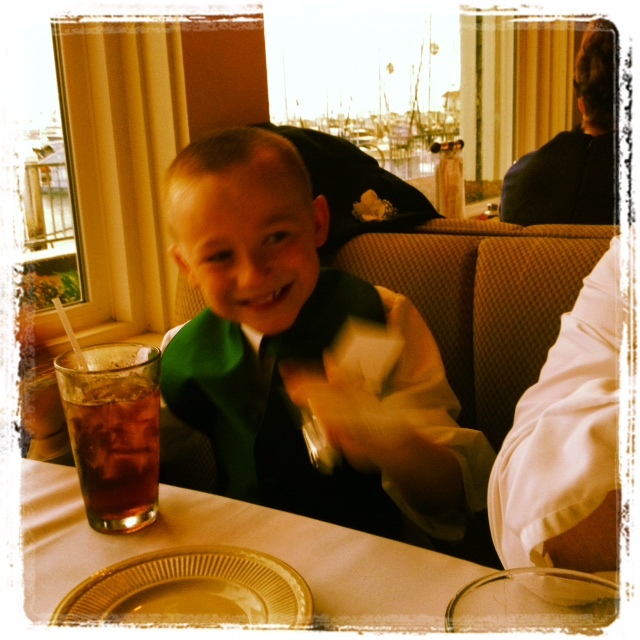 He’s a great little kid and I hope and pray that that is not the memory he has of being in his big brother’s wedding. But we had a great time at the reception and wouldn’t have missed it for anything. The next morning we got up early and headed to Legoland (which was literally 6 miles from our hotel). We have talked about going to Legoland with the kids since the Hubby and I were out there for the Marine’s first homecoming a year and a half ago. I was so glad we decided to go with the kids. It was a wonderful park. We all four enjoyed it, even though it was rainy in the morning and chilly the rest of the day. There were things for all of us to do and see. 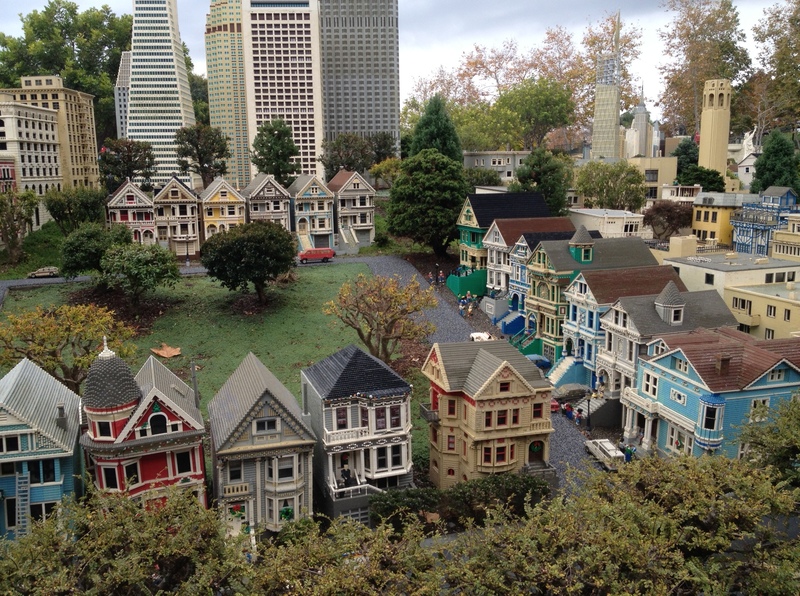 We all loved Miniland and the roller coasters. It really was a great family park! 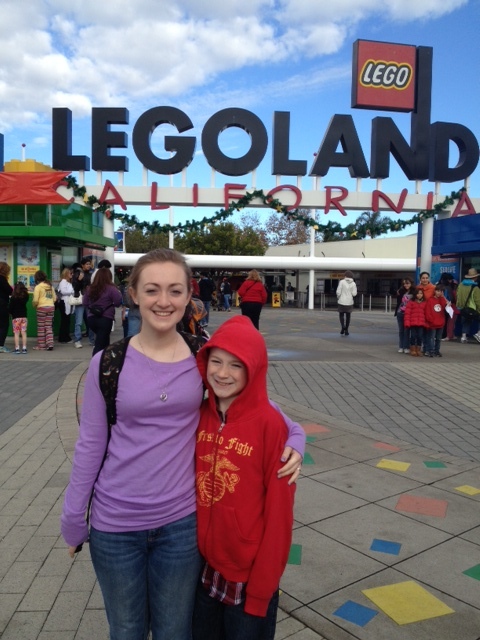 After we left Legoland, we decided to go see “The Hobbit” at the theater, which was really good. I’m so excited to start reading “The Hobbit” and “The Lord of the Rings” books I got for Christmas! The next day, we had decided to just head down to San Diego and walk along the waterfront and shop. 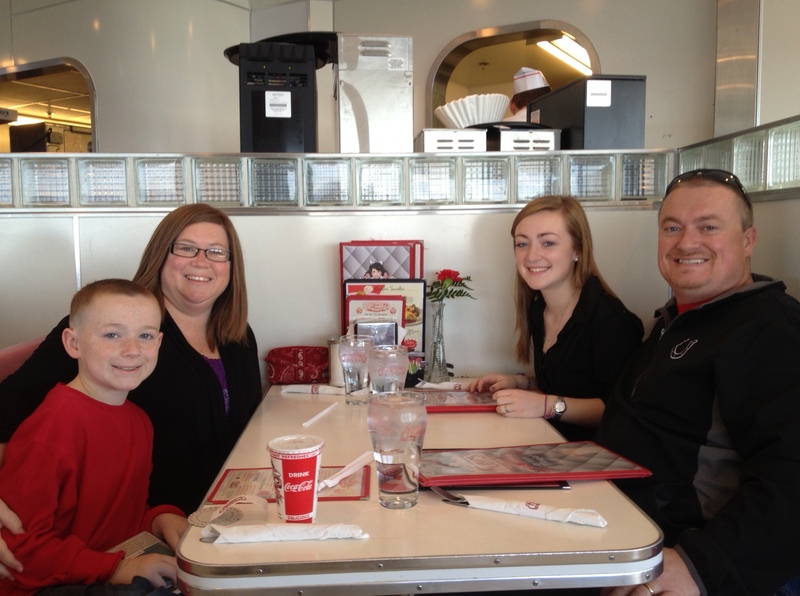 But, we had to stop and eat at Ruby’s first for lunch! Ruby’s is a great restaurant out at the end of the Oceanside pier. 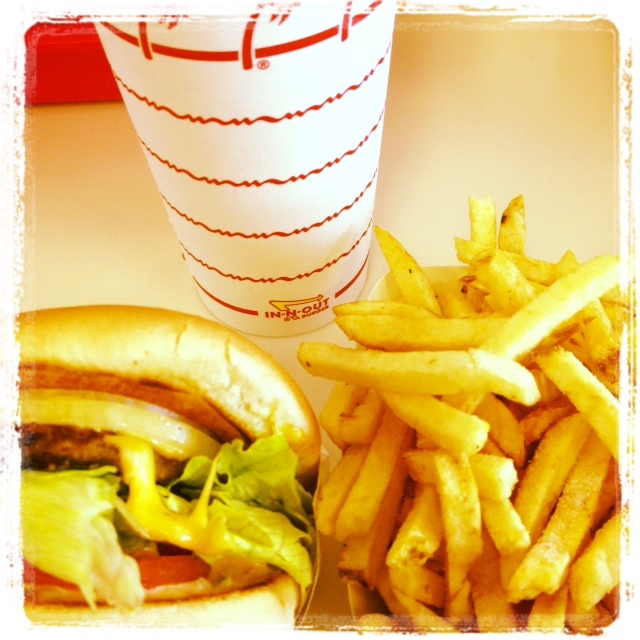 It’s decorated like an old-fashioned diner with yummy food and even yummier milkshakes. After lunch we headed to San Diego for the rest of the day. 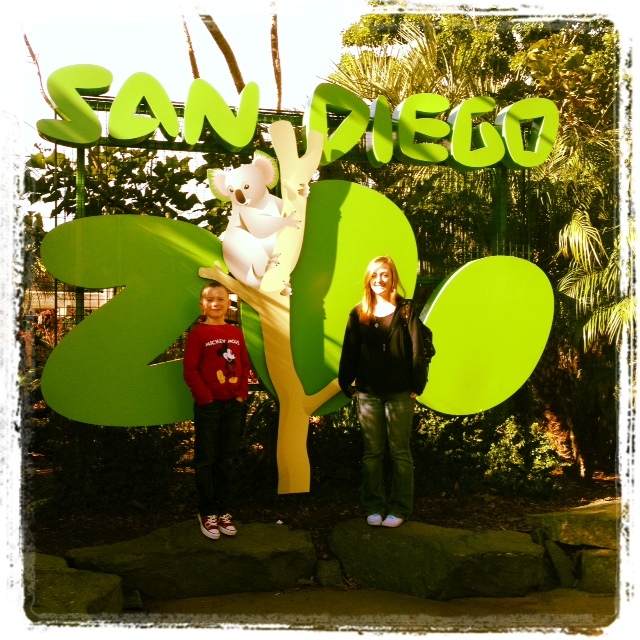 Tuesday was our last full day in California and we spent that day at the San Diego Zoo. If you like zoos, and you’re ever in that part of California, you need to go. It’s a wonderful zoo. We easily could have made it a two day trip in order to see everything. It was a lot of walking but it was worth it. We stopped by the Marine and his wife’s apartment on the way back to the hotel that evening and visited for a bit and said goodbye. We were up early the next morning and headed to the airport. 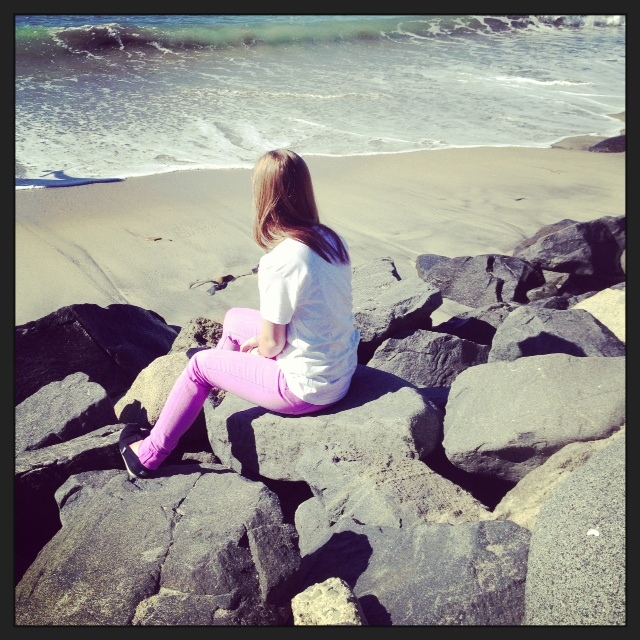 We did stop off in Oceanside and walked down to the beach. 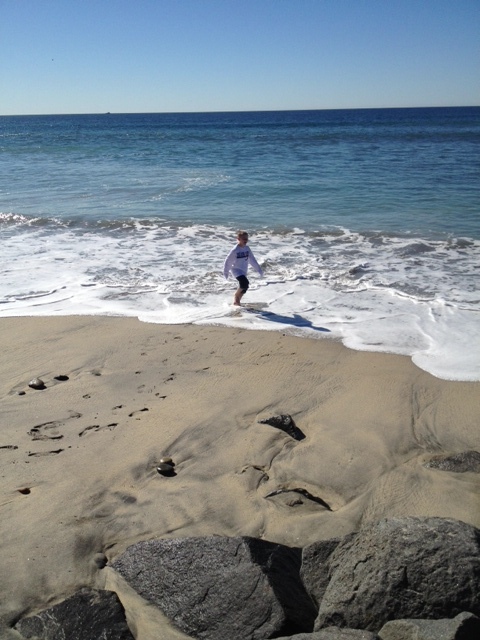 The Little Man took off his shoes and socks and ran in the sand and water for a few minutes. We had a wonderful trip. We did lots of things but never felt super rushed or hurried. We were able to relax and sleep in a bit and go to bed at decent times each night. Then we came home and left three days later for another little trip. But that’s for another post! Enjoy a few more wedding photos!